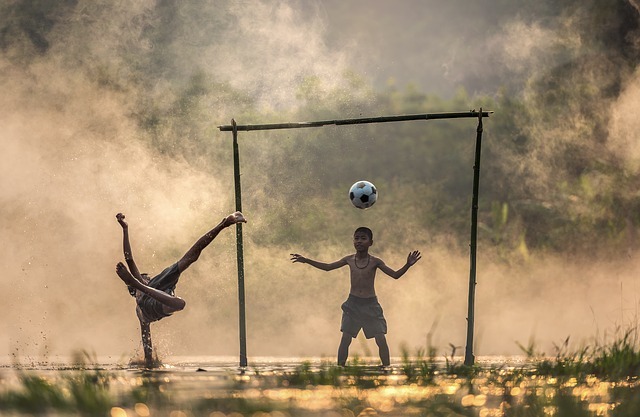 Football is popular for being a fun, fast and exciting sport. However, the pitch can often be a dangerous place, with professionals missing months at a time due to strains, sprains and other injuries. So, how can you help to prevent injuries caused by playing football? Here, with Pharma Nord, suppliers of supplements such as Pycnogenol and Vitamin D, we’ve outlined the most prevalent injuries that could make you miss many games, and what you can do to reduce the risk of injury. If you want to prevent injuring your ACL, focus on strengthening your muscles around your knee, including the hamstrings and quadriceps. According to HSS, Hospital for Special Surgery, you should do plenty of leg stretches like squats and walking lunges. Having good balance — or proprioception — is vital if you want to avoid injuring your ACL too, so practice standing on one leg (30 seconds on each) regularly to boost your stability. These exercises also help prevent injuries to your menisci, which are cartilages that protect the knee joint. Found at the back of your thigh, your hamstring runs from the hip to the knee. As your legs are crucial parts of a football match, sometimes your hamstring muscles can overstretch, resulting in pain at the back of the leg, as well as potentially bruising and swelling. If you tear your hamstring, you could be out of action for a while, however, if you simply pull your hamstring, you should be fine to continue. If you tear your hamstring, you’ll notice swelling, bruising and suffer a lot of pain. Reportedly, people with existing back issues are more susceptible to strained hamstrings, so to avoid this injury, loosen your back with exercises such as lumbar rotation stretches (lying on the floor and rolling your knees from side to side). Basic glute stretches will ease muscles around your hips, while yoga will help you stay flexible, which will lower the risk of hamstring strain. Squats, lunges and hamstring kicks are also great preventative exercises, as they work to strengthen the hamstring muscles. A sprained ankle is when you damage the soft tissue in the ligaments in this part of your foot. According to the CSP (Chartered Society of Physiotherapy), approximately 70-85% of these injuries are ‘inversion’ sprains, which means the ankle has been turned inwards — common when tackling and dribbling the ball. If you stretch to reach the ball, you’ll always run the risk of a groin injury. If you strain your groin, you’ve basically over-extended your abductor muscles, found in your inner thigh. A slight strain will often cause some pain, however, serious groin strain injuries can impede on your ability to walk and run, which is a serious flaw for a football player. A key way to help you avoid a strained groin is by completing a decent warm-up. Make sure you stretch your inner and outer thigh muscles daily and see if you can also get regular sports therapy or massage treatments to keep these muscles flexible. A strong core enhances pelvic stability, which will also reduce the chance of groin strains, so do plenty of planks and crunches as part of your basic workout routine. Resistance bands are also very handy for strengthening your inner thigh muscles and preventing groin strain. When you have to use your muscles all of a sudden, for example if you dodge a tackle, the risk strains and injuries heightens. According to a scientific study, taking part in a structured warm-up is effective at stopping players from suffering common football injuries and can reportedly even lower these by approximately 33%. As a footballer, it’s important to eat a healthy diet. Eat plenty of protein and carbohydrates — including eggs, whole-wheat pasta, brown rice, turkey and salmon — to build muscle and deliver energy. Also, lower your alcohol intake — it dehydrates you and leaves your muscles more susceptible to cramping and injury. 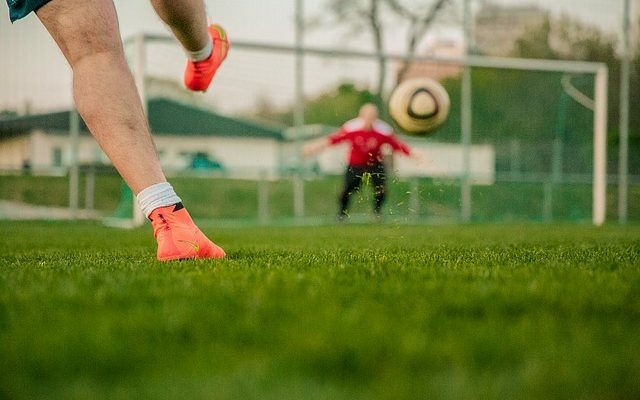 Incorporate the above exercises and tips into your football regime to ensure you don’t miss out on any key practices and crucial games this season.